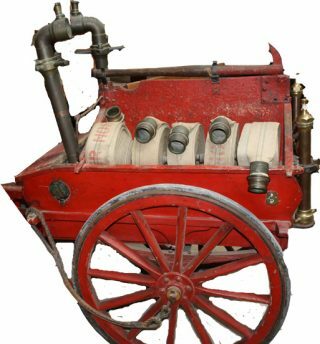 This hand-drawn fire cart was used to get water from the nearest fire hydrants to the source of a fire. The hoses were linked together and connected to the appropriate nozzle. 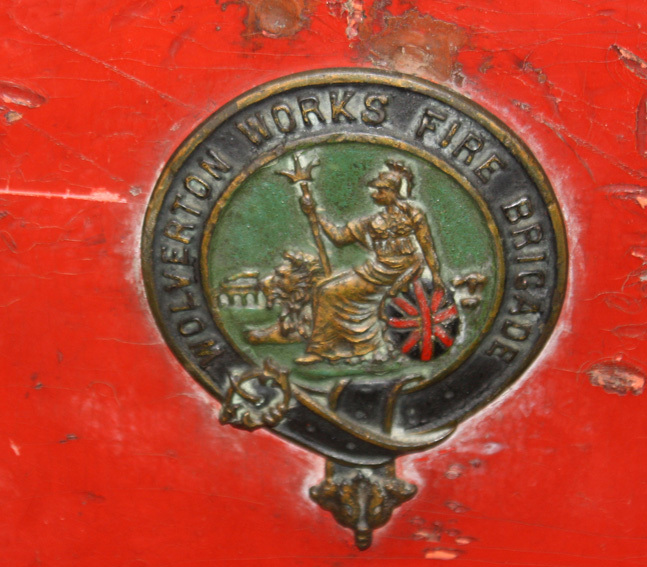 On the side of the cart is a metal badge carrying the Britannia crest of the London & North Western Railway Company with the legend ‘Wolverton Works Fire Brigade’.